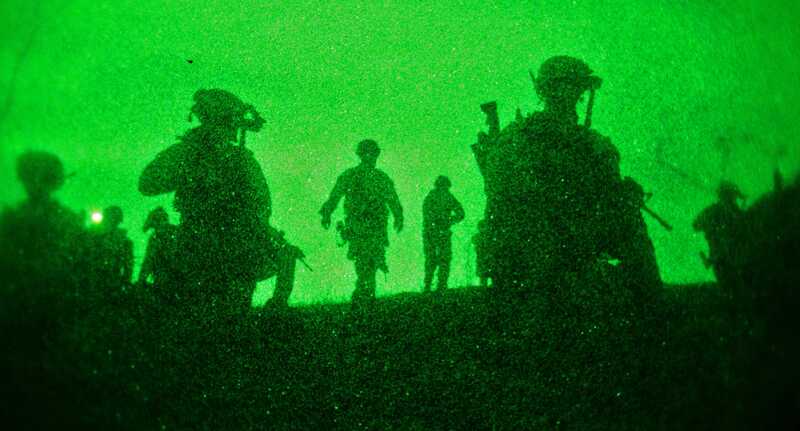 US Marine CorpsMARSOC Marines on a night training mission. 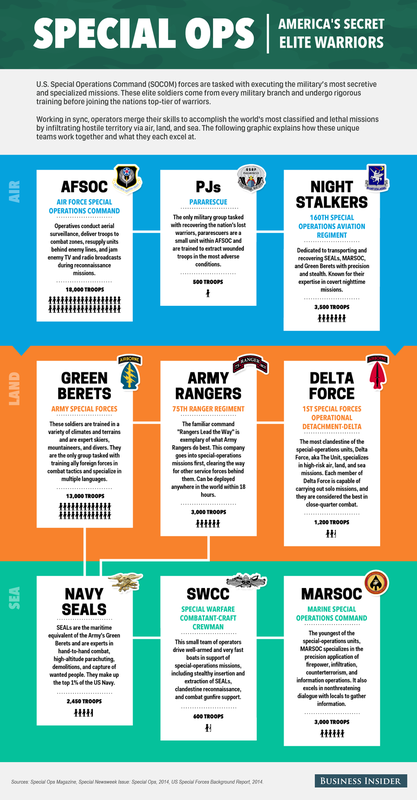 America’s elite soldiers, work under a shroud of secrecy to carry out high-risk missions with swift precision, laser focus and firm perseverance. Operators work in up to 80 countries with sometimes less than 48 hours notice to accomplish assignments in counterterrorism, unconventional warfare, capture and assassinations of wanted peoples, and training of foreign forces. Working with the military’s most advanced technology and weapons, the projected FY2015 budget for US Special Ops forces is approximately $US9.9 billion. The following graphic lists the strengths of each unit and how these elite warriors combine their skills to serve the interests of global security.